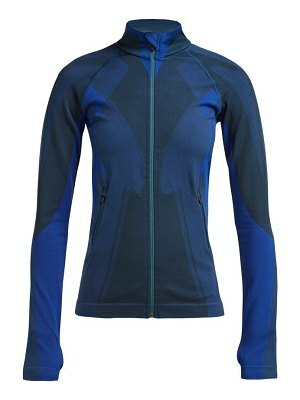 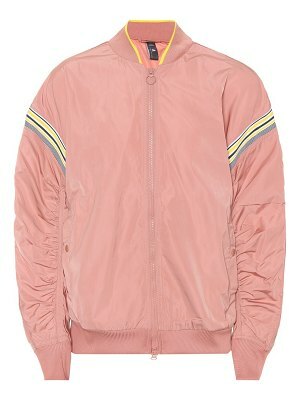 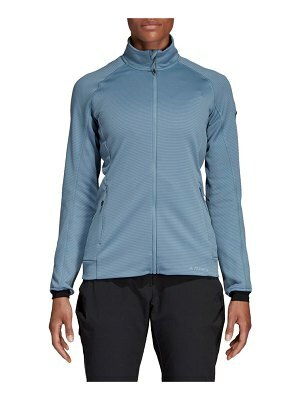 Adidas By Stella McCartney - Stay warm on chilly morning runs with Adidas by Stella McCartney's navy Train fleece jacket. 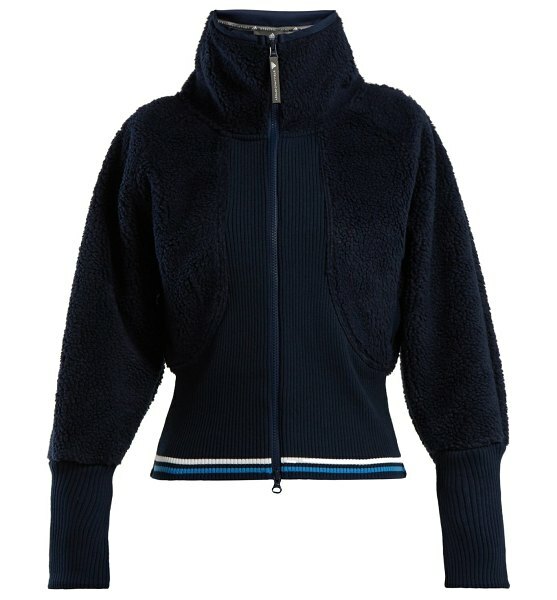 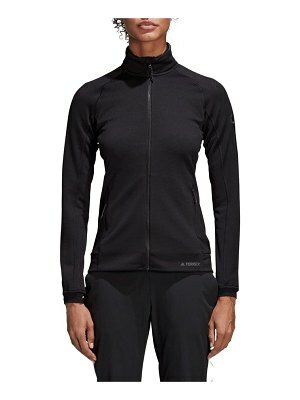 It has a ribbed panel across the body, and is designed to keep the heat in with a high neck and large ribbed cuffs. 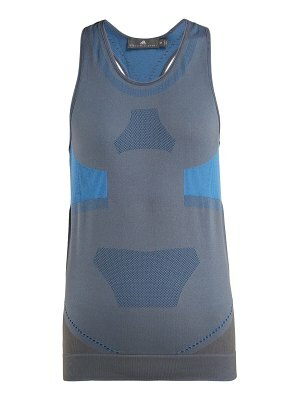 Wear it with an all-black ensemble for a sophisticated workout look.